SUPER OPPORTUNITY! 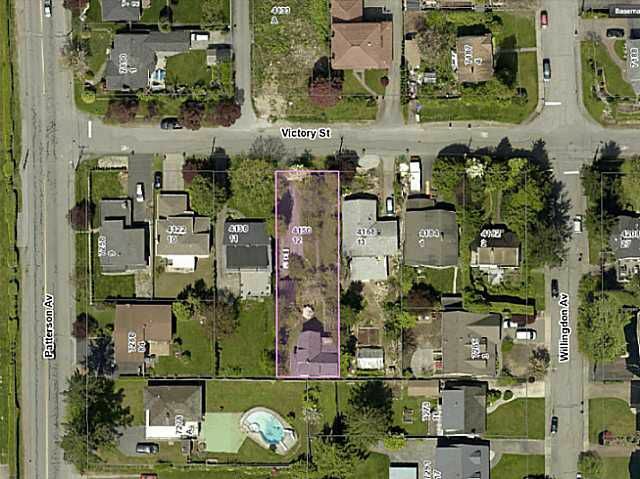 Rarely available 54'x178' level lot in prime Metrotown location. There is an older style house on the property at the very back of the lot. The house is very livable but dated with no recent improvements. Clearlyvalue is mainly in the land. There is a nice south western view from the upper floor that could be enjoyed from a new house built on the property. No back lane. Located on a quiet street in an excellent neighbourhood. Close to bus, skytrain, schools, Central Park and Metrotown. Excellent value!